The Russian story about blockchain and cryptocurrency has been truly amazing. In less than a year, the nation moved from a total ban on crypto currencies to become a strong advocate of these technological and financial innovations. 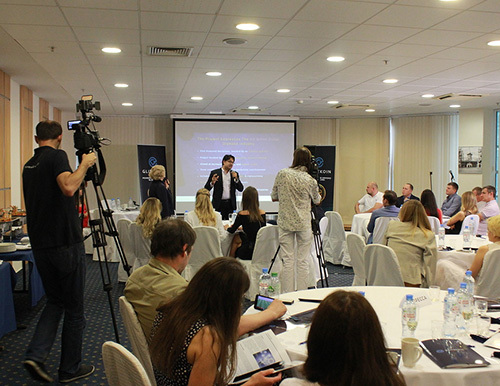 When diamond veteran and GLITZKOIN CEO Navneet Goenka, interacted with the Russian investors at the exclusive blockchain meet, he realized that no sales talk was called for. 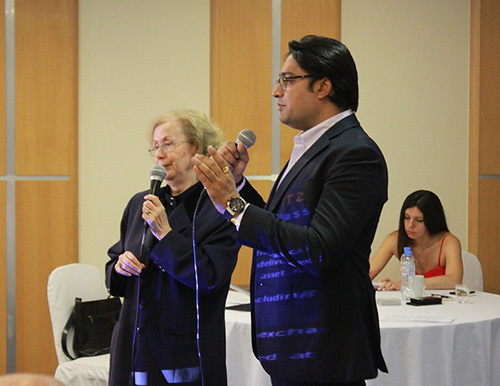 He went straight to the point and began explaining the basic functionality of the project. One of the main elements of GLITZKOIN is the implementation of a diamond blockchain. This features a full fledged blockchain based diamond trading platform. Certified diamonds from across the world could be listed on the GLITZKOIN blockchain. Buyers located in any part of the world could confidently, purchase a diamond listed on the platform. By allowing the buyer to see the complete information uploaded by the seller including the price of the precious stone, the diamond blockchain eliminates the need for brokers and middlemen. While this might seem like a simple issue, the fact is that diamond trade has for decades been dominated by brokers. This practice encourages price cloaking and inflates the price tag with broker commissions. The buyer ends up paying more without getting any added value. The cryptocurrency included in the project will interest even the serious crypto world enthusiast but, plays an even bigger role in facilitating diamond trade on the blockchain platform. Banks have always benefitted financially by processing payments for diamond purchases but, it is generally agreed that bank fees are unreasonably high. A large portion of diamond trade involves exports, this brings up the issue of multiple currencies. Most banks work on substantially high charges for currency conversion. Utilizing the GLITZKOIN token (cryptocurrency) to settle payments on the platform, diminishes the role played by banks in diamond trade. The overall impact of the GLITZKOIN blockchain trading platform and crypto currency, would be to improve efficiency in the 90 billion dollar diamond industry. Interestingly some of the highlights of this project, will also widen the market scope for the glittering stone. By limiting listings to certified and natural diamonds, the possibility of trading fakes and synthetics on the platform will be nil. The elimination of middlemen and their commissions in the supply chain, will ensure fairer diamond prices for the buyer. By deploying the crypto currency to settle payments on the platform and thus, diminishing the role of the banking system – GLTIZKOIN would help curtail unproductive business overheads. The multibillion dollar industry would no doubt benefit from the project but, what could investors expect. With most of the top Russian tech investors represented in the room, this was a question that needed a crystal clear answer. Diamond veteran Navneet Goenka did not shy away from the answer, he had his numbers logically lined up. The initial target for the GLITZKOIN diamond trading platform, was to pull in just 5% of the total diamond trade. Given the fact that the CEO was a second generation diamond professional coming from a family that, has been a prominent player in the global diamond industry for over 50 years, these numbers were very achievable. The 5% target from a total of 90 billion dollar trade, amounted to a staggering 4.5 billion dollars. This would translate into a demand for GLITZKOIN tokens valued at 4.5 billion dollars. With the tokens being traded on popular crypto exchanges, the high level of demand would work to push up prices. Invitees at the meet were quick to realize that, the project did hold promise. The notes sent across to the organizers requesting for one-on-one discussions with the GLITZKOIN team, was a good indication of investor mood that evening.